Steve Killelea is an accomplished entrepreneur in high technology business development and at the forefront of philanthropic activities focused on sustainable development and peace. After successfully building two international software companies, Steve decided to dedicate most of his time and fortune to sustainable development and peace. Steve founded Integrated Research Ltd (IR), an Australian publicly-listed company with a 25-year heritage of providing performance management and payments software for business-critical computing and Unified Communications environments. Through Steve’s direction as CEO and now as Chairman, IR has built an impressive, world-class customer base to make it one of Australia’s leading software companies. 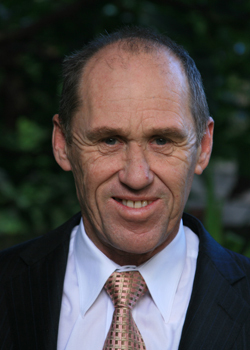 Steve was recognized as Australian Exporter of the Year in 1998 and 2003, amongst numerous other business awards. Steve has always had a strong passion for sustainable development, and in 2000 established The Charitable Foundation (TCF), which specializes in working with the poorest communities of the world. TCF is one of the largest private overseas aid organizations in Australia. It aims to provide lifechanging interventions reaching as many people as possible with special emphasis on targeting the poorest of the poor. TCF is active in East and Central Africa and parts of Asia and has substantially impacted the lives of over 6 million people. In 2007 Steve founded the Institute for Economics and Peace (IEP), an international think tank dedicated to building a greater understanding of the interconnection between business, peace and economics with particular emphasis on the economic benefits of peace. IEP’s ground-breaking research includes the Global Peace Index, the world’s leading measure of peacefulness. Steve’s founding of IEP was recognized as one of the 50 most impactful philanthropic gifts in Australia’s history. Steve currently serves on a number of influential Company Boards, Advisory Boards and President Councils. In 2010 he was honored as Member of the Order of Australia for his service to the global peace movement and the provision of humanitarian aid to the developing world. As an accomplished public speaker, Steve regularly speaks at events and to the international news media. In 2013 Steve was nominated one of the “Top 100 Most Influential People in Armed Violence Reduction” by the UK group Action on Armed Violence. In recognition of Steve’s deep commitment to peace, he has twice been nominated for the Nobel Peace Prize.